Of all the stuffs you wear, your smile is by far the most valued. Welcome to Tooth ‘N’ Care Dental Clinic. We are located in the southern part of India in the city of Chennai, the capital of Tamil Nadu. We are well equipped with state-of-the-art treatment and surgical amenities observing to the international standards of dentistry. We have our own panel of eminent team of skilled Doctors who work organized as consultants to provide a comprehensive dental treatments to our patients. We have high-class department for cosmetic dentistry and the smile design ensuring personalized care and treatment for each of the patient. With our rigorous sterilization procedures with autoclaving, we ensure maximum hygiene and safety in the dental care. Our patients include those from the countries of Far East, Europe, USA, and Middle East and of course of the Subcontinent. Our Multispecialty dental clinic is equipped with professionally qualified team, who over the years have attained in granting the best dental care and having smiles from all over the world. Proud to be one of the south India’s and India’s leading Cosmetic Dental clinic we change the people’s lives by transforming their smiles, offering the latest technology in a comfortable and enjoyable environment…. We attain the best result for a beautiful, healthy and long lasting bright, the smile you have always wanted! We are very much happy that most of our new patients are from the recommendations of present satisfied clients. We promise your visit at Tooth ‘N’ Care Dental Clinic will always be stress-free and comforting as possible. You will find that we have a different approach to the cosmetic dentistry, and we are right here in Chennai, Tamil Nadu, India. People want the cosmetic dentistry to improve their smile. You may not be satisfied with the color, size or shape of your teeth. You may also have the gaps between your teeth or have a crooked teeth. 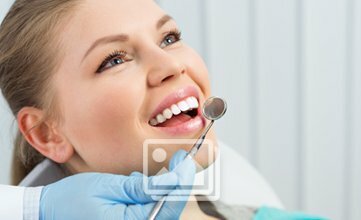 At Tooth ‘N’ Care Dental Clinic, Chennai, Tamil Nadu the Cosmetic Dentists have advanced training and specialize in the cosmetic dentistry techniques. Call us now for a free cosmetic consultation! It’s simple really one of the world’s favorite holiday destinations. Tamil Nadu today plays host to the increasing number of tourists from around the globe. Tooth ‘N’ Care Dental Clinic in Chennai offers the world class standards of precision, hygiene, beauty, care and are at the same time extremely cost effective. The central location and the easy accessibility of Tooth ‘N’ Care Dental Clinic, ensure that your search for the dental help will receive a quick, effective and absolutely safe perfect dental treatment solutions! Pin code – 600 024, Tamil Nadu, INDIA.